I feel like I haven’t blogged in weeks and that’s because I haven’t! The good news is I have been so busy with photography shoots lately that I haven’t made time for my blog so I’m getting back on track now. So most of you have seen my work, but what are people saying about my work? 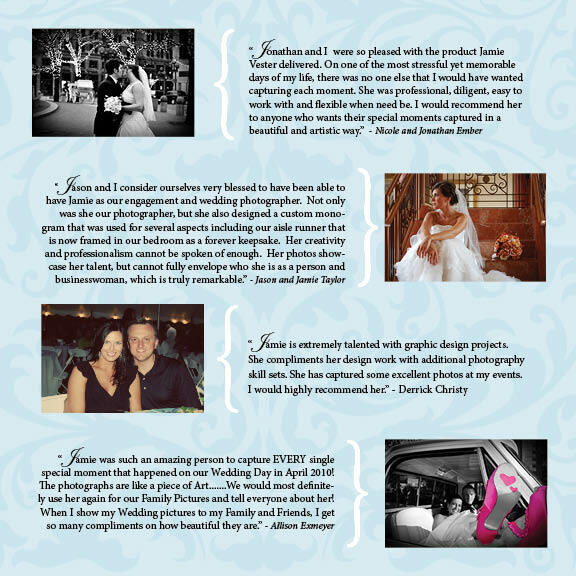 Well here are a few testimonials from some of my recent clients. You can also look at http://www.theknot.com for more recommendations that people have posted about my services.